Built specifically for your 5-Series ashtray location, this Spec.Dock model is a complete Dension music and docking solution for your BMW 5-Series E39. 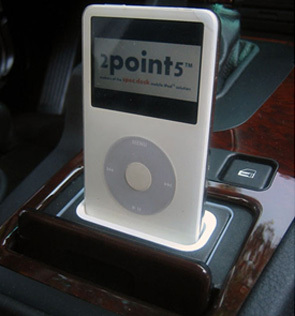 This means that you can simply plug your iPod/ iPhone into the dock and enjoy music on your factory radio with none of the tangled, messy wire frustration! Your device will seat firmly in the Apple Universal Dock Well molded into each unit, and multiple iPods or iPhones can all be used in the same dock via interchangeable inserts - one comes with each order, and additional sizes are available.